This information has been provided by General Mills through MyBlogSpark. 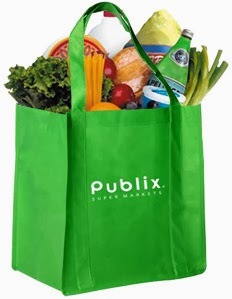 Heads up on BOGO sales at Publix! A ton of great stuff! How is your New Year going? Have you vowed to lead a more healthy lifestyle? Are you looking for the the best prices you can get? I know I am, especially when there's a BOGO sale at Publix. I go crazy over those. Yesterday I bought Olay face cream for almost $5 off using my coupons, my favorite 4 Gardein bags for the price of two, my favorite 4 Progresso soups for the price of two, Fresh express salad BOGO, and a bunch of green giant veggies, all BOGO. You save so much with these sales, let alone much more with coupons! Right now, there is a sale on all weight watchers approved general mills products, so those of you who want to continue the new year healthier can use these meals paired with fresh veggies and fruits to help curb cravings and learn good portion size. • Progresso Light Soups: BOGO - Perfect for these unusually cold days! • Green Giant Frozen: BOGO - Stock up on veggies to make healthy comfort foods that are warm. Like broccoli soufflees and casseroles! You can find the coupons to pair with these sales below. Don't miss out on all the savings!